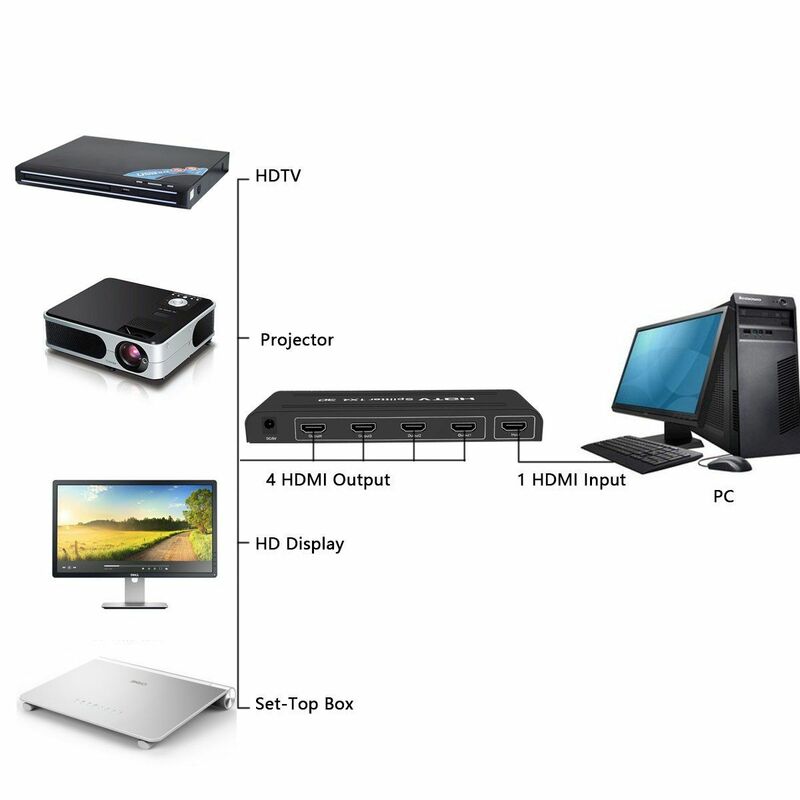 (1) Video Formats Supported DTV/HDTV: 480i/576i/480p/576p/720p/1080i/1080p. 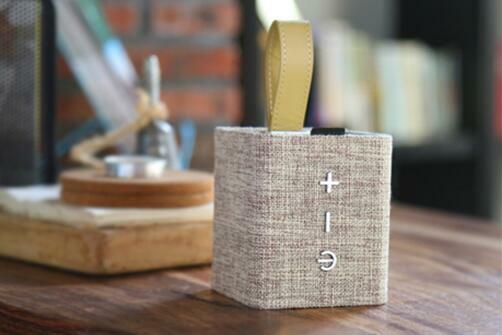 (2) Supports up to 1080p resolution for HDTV, clean, high-performance display (3D functions are also supported). (3) Best solution for digital entertainment center, HDTV retail and show site, HDTV, STB, DVD, PS3, etc. 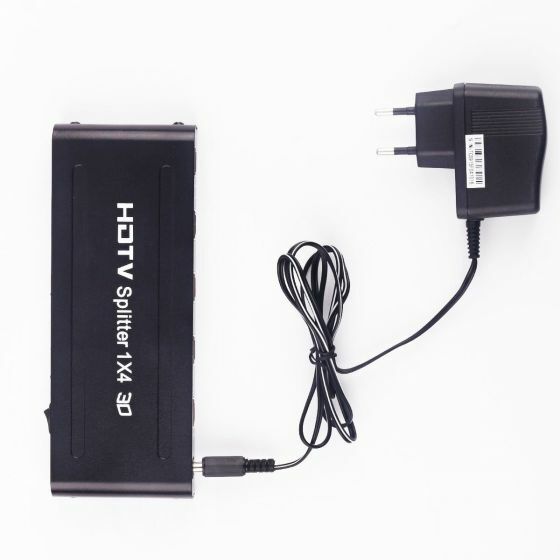 (4) Contains: (1)HDMI 1x4 Splitter x 1 (2) 5 V AC x 1 (3) user manual x 1. 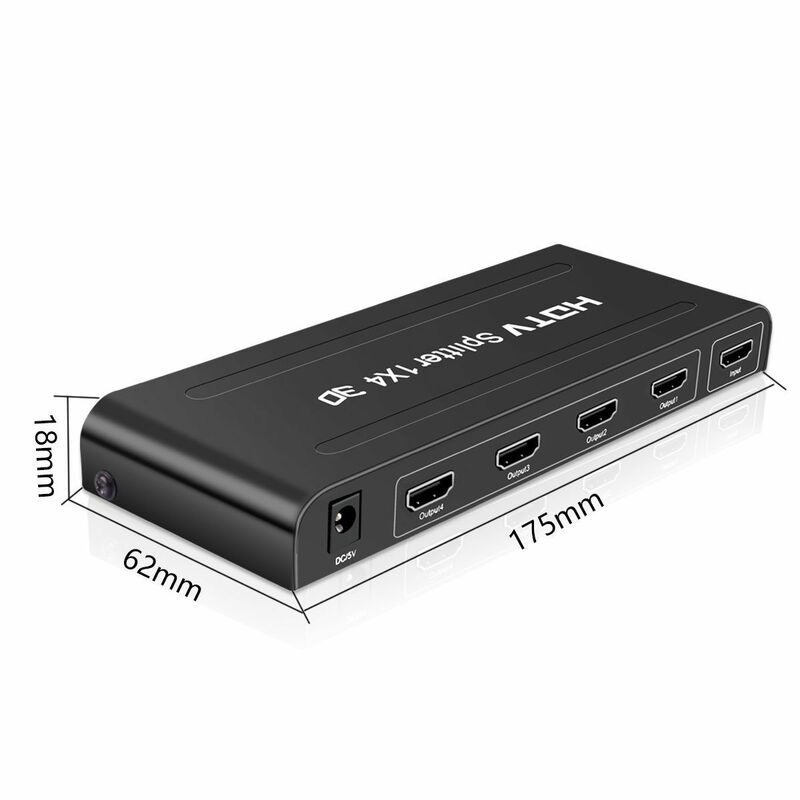 Connects up to 4 HDMI outputs to a single HDMI input for playing games, TV and more. Video Formats Supported DTV/HDTV: 480i/576i/480p/576p/720p/1080i/1080p. 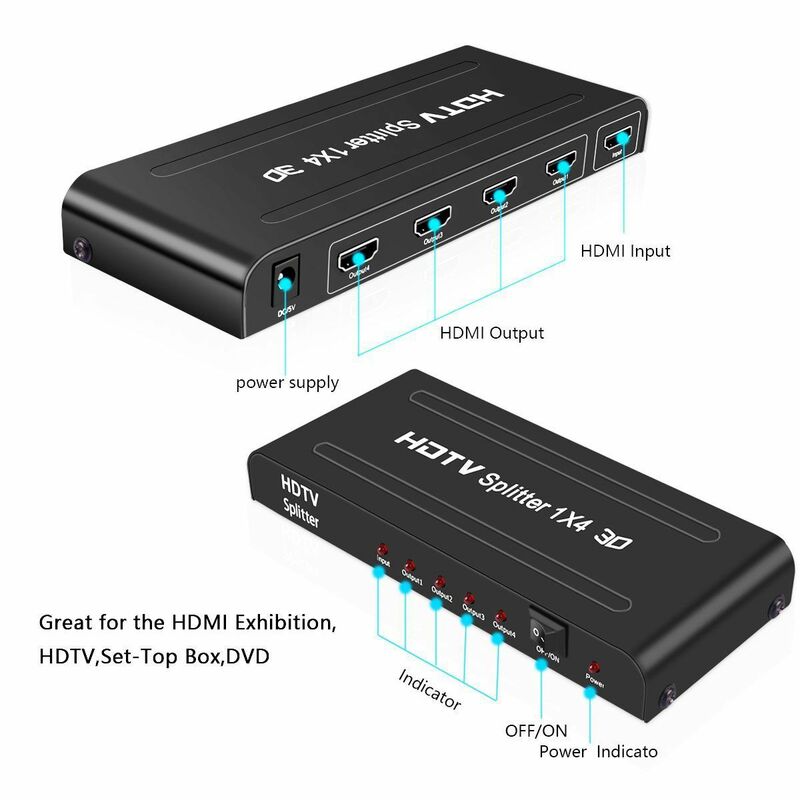 Compatible with HDTV,Projector,HD Display and more.